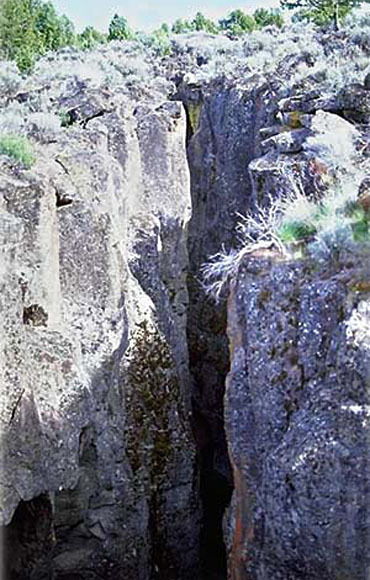 Crack In The Ground is a fissure that formed between cooling lava flows about 1100 years ago. The fissure is about 2 miles long and 70 feet deep. 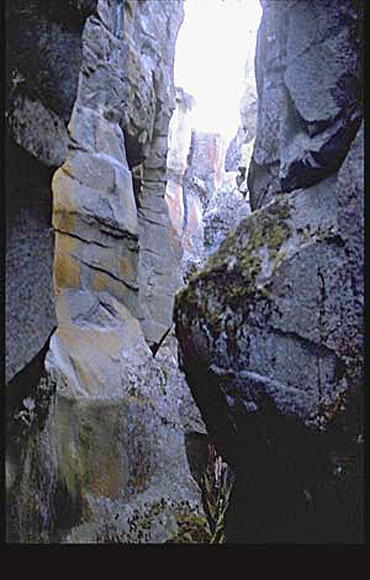 The length of the fissure can be hiked, as there is an established trail along the fissure's bottom. Normally, fissures like this one are filled in with soil and rock by the processes of erosion and sedimentation, but because Crack in the Ground is located in such an arid region, barely any filling has occurred. As a result, Crack in the Ground exists today nearly as it did shortly after its formation. When you get there it is easy to cool off, as the bottom of the crack can be as much as twenty degrees below the surface temperature. CAREFUL When Visiting! Always let someone know where you are. Summer Lake - One of the best duck hunting spots in all of Lake County, while Winter Rim, just above Summer Lake, is great for big game hunting. 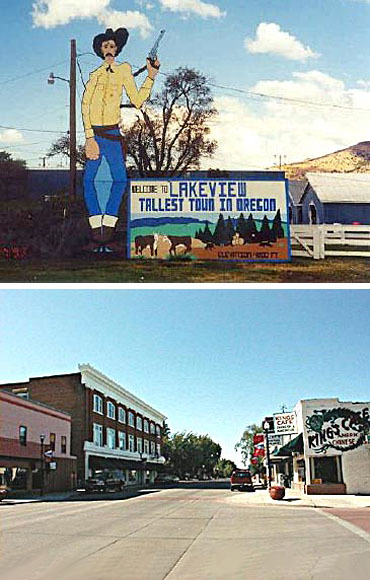 Sunstone Area - In 1972, the Bureau of Land Management's Lakeview District established a free-use collecting area for the general public. Four square miles are now closed to mining claims to allow public access for hobby collecting. Locally known as the "Plush Diamond," the sunstone was designated in 1989 as the Oregon State Gemstone because of its uncommon clarity and color range. Lake County Fair which is one of the oldest rodeo's in Oregon. We Can Add More Information to this page, Click Here and supply your text info and we will add it in! This is a general information page. All profile information on is provided to users on an "as is" and "as available" basis without warranty of any kind either express or implied. SouthernOregon.com is not responsible for any change in lake information, conditions, amenities, misprint, hours or directions. See	terms page to read more user details. Our phone is for listing & advertising, If you are inquiring for information about lakes, directions, events, etc... they are listed in website on that page. SouthernOregon .com © 2013. All Rights Reserved.